Lauer, Patrick F. Jr. Esq. If you are charged with a DUI, Attorney Lauer dedicates a substantial portion of his practice and experience to defending individuals accused of driving under the influence of alcohol. Mr. Lauer graduated from Carlisle High School in 1977 and enlisted in the United States Marine Corps. He worked as a military police officer and subsequently worked with the Judge Advocate General's Office prosecuting individuals accused of crimes. While enlisted in the Corps, Mr.Lauer was also enrolled in college full time and graduated from the San Diego State University in 1983. Mr. Lauer subsequently attended The Dickinson School of Law and graduated in 1986. While in law school, Mr. Lauer participated in the Trial Moot Court Board and Advocacy programs. Mr. Lauer worked in the Public Defender's Office in Cumberland County for about a year and a half. While there, he represented individuals charged with felony offenses and, in particular, DUI offenses. In 1989, Mr. Lauer opened up his first law office in CampHill, Pennsylvania. At this time, he has two offices which are located in CampHill and Carlisle, Pennsylvania. Mr. Lauer authored Pennsylvania DUI Defense in 1994. He has attended the National College of DUI at Harvard Law School, has completed all course work by the National Highway Traffic Safety Administration regarding field sobriety testing, and he has completed extensive course training regarding the Intoxilyzer 5000. Mr. Lauer has represented approximately 5,000 people accused of various crimes. 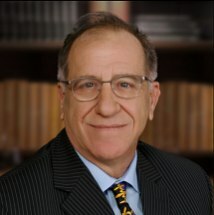 Mr. Lauer is a life member of the National Association of Criminal Defense Lawyers and is a member of Pennsylvania Association of Criminal Defense Lawyers. Mr. Lauer is admitted before the United State Supreme Court, Middle District of Pennsylvania, Federal Court, and the Court of Appeals.